cPacket Networks offers customers that operate large complex networks an innovative Distributed Monitoring Architecture which delivers higher operational efficiency and more integrated intelligence than legacy “bottleneck by design” solutions. 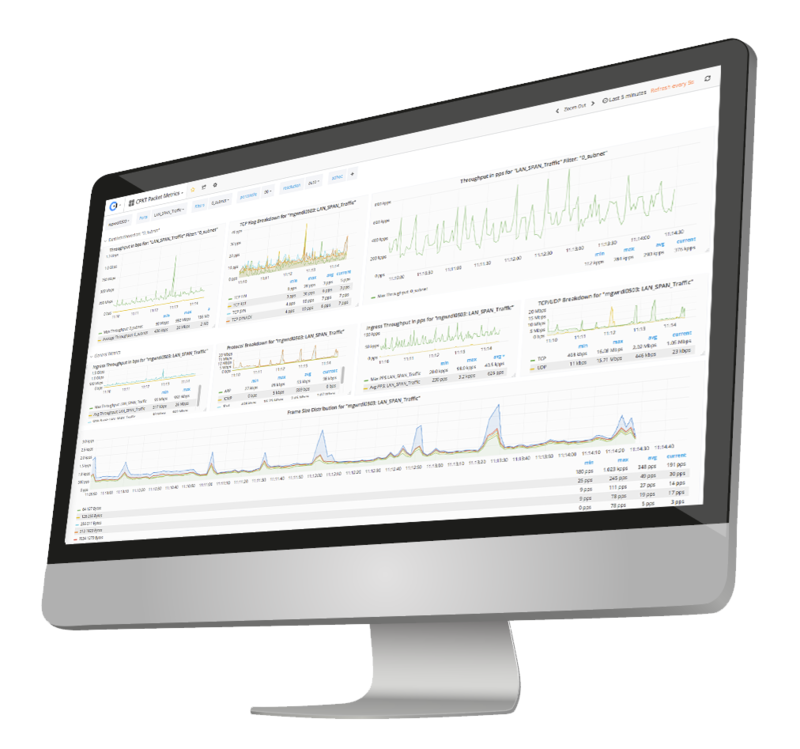 cPacket’s distributed intelligence enables network operators to proactively identify imminent issues before they negatively impact end-users and also reduce troubleshooting time-to-resolution by over 80 percent. cPacket’s advanced Intelligence overcomes scalability issues by leveraging the company’s unique algorithmic chip that performs complete packet inspection “immediately at the wire”. As network speeds and bandwidth increase, centralized monitoring solutions struggle to overcome bottlenecks, dropped packets, and data loss. These scalability problems are inherent to legacy monitoring architectures that rely on aggregating massive amounts of traffic for centralized processing, and perform analysis based on after-the-fact information. cPacket Networks can help you scale your monitoring solution past where the legacy vendors run out of steam. If you would like to hear more then please leave your details and one of our experienced Solution Architects will be in touch.